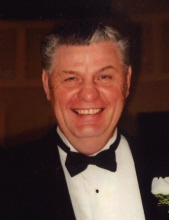 Eli C. (Big Eli) Martin, of Ashland, KY passed away peacefully at his home on Saturday January 12, 2019 at 77 years of age. From an early age, he worked hard in whatever job he worked whether it was farming and / or regular employment, He worked and retired in 2007 after 41 years as a Federal Food Inspector with the USDA. He was also a member of the Mailhandlers Union. He is preceded in death by parents, Minda Askelson Martin, William Martin, and Nellie Martin; wife, Doloris Parker Martin; sisters, Minda Irene Martin, Francis Griffin, Bert Barr, and Cletus Beal; brothers, Alvin Martin, Bill Martin, and Clayton Martin. Eli is survived by loving wife Gladys Hensley Sutton Martin of Ashland, KY; brother, Harlan Martin of Donnelson, IA; children, Deborah Loftsgard (David), Elaine Rice (Larry), David Martin (Rosemary), Eli C. Martin II, Earlene Opell (George), Carolyn Vipperman (Jim), and Jerry Sutton (CeCe); 24 Grandchildren and 44 Great Grandchildren as well as a host of Nieces, Nephews, and other beloved friends and relatives. A Celebration of Life for Mr. Martin will be at 7:30pm Wednesday, January 16, 2019 at the Kilgore & Collier Funeral Home, 2702 Panola Street, Catlettsburg, visitation will begin at 5:30pm until Service Time. After Services in Catlettsburg, Mr. Martin will be taken to Schutte Funeral Home in Postville, Iowa for a Memorial Service at 1:00pm, Saturday, January 19, 2019, visitation will be from 11:00am until Service Time. Grandson Jeremy Vipperman will officiate. Final resting place for Eli will be in Postville Cemetery. Condolences will be left at kilgorecollierfuneralhome.com. To send flowers or a remembrance gift to the family of Eli C. Martin, please visit our Tribute Store. "Email Address" would like to share the life celebration of Eli C. Martin. Click on the "link" to go to share a favorite memory or leave a condolence message for the family.